Taxi drivers will learn more Friday about Quebec's plan to compensate them for their taxi permits' loss of value caused largely by ride-sharing services such as Uber. In the 2018 provincial budget, nearly $250 million was allocated to the taxi industry, with roughly $44 million dedicated to its modernization. The total allocation works out to approximately $30,000 per Quebec taxi licence. Once the announcement is made, Revenu Québec will send a letter to each taxi licence owner, indicating what they will be entitled to. "$30,000 is a drop in the bucket for what's happened in the last four years when the value of a permit was about $200,000 and now they're selling for about $80,000," said George Boussios, spokesperson for Taxis du Grand Montréal, an association of Montreal taxi companies. ​The arrival of ride-sharing services has left many in the taxi industry "in dire straits," Boussios said, as it has affected income and pensions. "It hasn't been easy," said Boussios, who also serves as president of the Montreal-based Champlain Taxi company. "It's been very, very difficult." 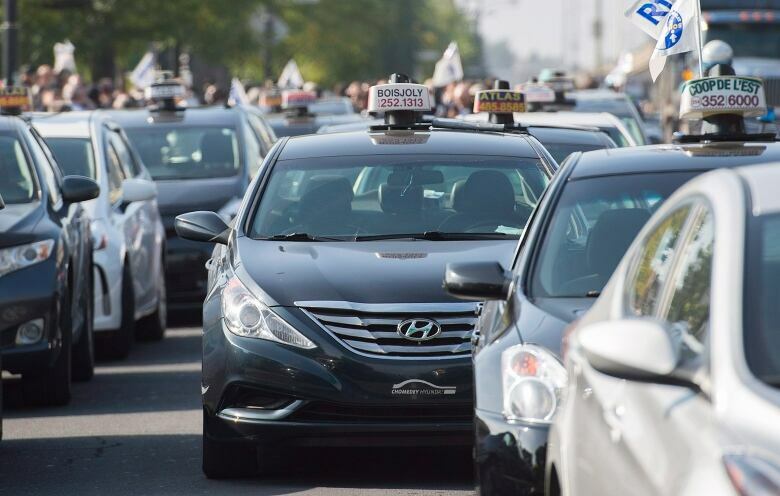 The government must dole out that compensation package directly to drivers by Oct. 1, according to Abdallah Homsy, president of the Regroupement des intermédiaires de taxi de Québec (RITQ). "In our conditions, it was decided that the amounts should be paid before the elections," he told Radio-Canada. If taxi drivers don't get what they want, Homsy said it will be a "hot topic" during the provincial election campaign. Premier Philippe Couillard announced Saturday that Quebec's provincial election campaign will officially begin on Aug. 23.